With the announcement by Cisco that they are discontinuing development of their Application Control Engine (ACE) load balancer, enterprises that have deployed ACE load balancers are faced with the challenge of finding an alternative for their load balancing needs. The saying that “there are no challenges, only opportunities” is particularly relevant in this case. Companies have the opportunity to chart a new and better course. Rather then replacing one expensive and inflexible proprietary hardware appliance with another, they can move into the future with NGINX Plus, an extremely cost effective and flexible software-based load balancing solution that can easily and quickly be deployed on commodity hardware, in a virtualized environment, or in the cloud. 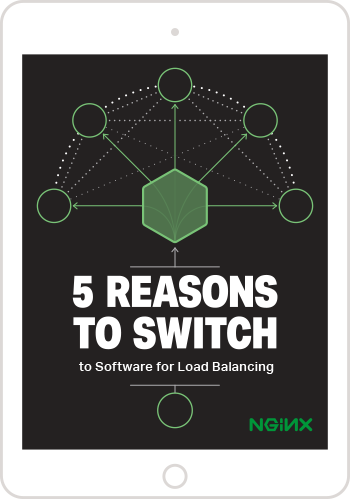 NGINX Plus is already used at many of the highest volume websites in the world, so it is known for its extreme scalability but it also brings the rich Layer-7 load balancing functionality of a modern application delivery controller (ADC). Caching, compression, SSL offload, flexible request routing, full content manipulation, health checks, scripting, and video streaming are just some of the features available, backed by 24/7 support and professional services delivered by the engineers behind NGINX Plus and NGINX open source. For a detailed list of features, see our Visit Feature Matrix and Technical Specifications. If you are looking to replace your Cisco ACE deployment, you owe it to yourself to check out NGINX Plus and future-proof your environment with a modern approach to the ADC. Check out our detailed Cisco ACE to NGINX: Migration Guide.